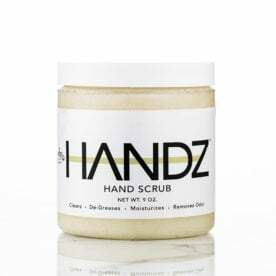 This multitasking scrub, in a clean, spicy scent, is a cleanser (yes, it takes all the dirt and grime off skin), a pre-shave prep (it lifts the follicle, cleans out the pore and helps the hair stand up), and a shaving oil (Rinse the sugar off and the oils remain to shave with) all in one . It moisturizes too! 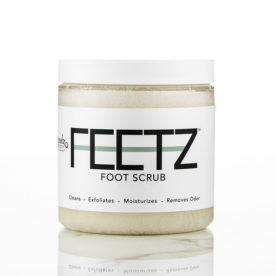 For you guys who want better skin, less irritation, no ingrown hairs, and no irritation. Shavez is triple whipped with 25% extra Jojoba oil (this oil is the same pH as skin), to give guys a great cleansing & shaving experience in one. So what are you waiting for. Throw away your old shaving cream, soap or lotion and reach for the best shaving experience ever. Shavez works really well as a body scrub too. 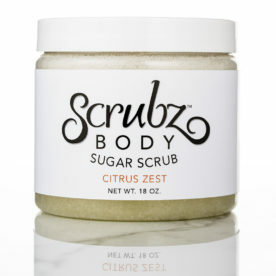 Natural Sucrose, Canola Oil; Olive Oil, Grapeseed Oil, Jojoba Oil, Aloe Vera Oil, Coconut Oil, Non GMO Soybean Oil, Vitamin E Oil, Essential and/or Fragrance Oil – Facez is triple whipped with 25% more Jojoba Oil than regular Unscented ScrubzBody Scrub. We recommend using Shavez shaving scrub every time you shave. It is great for cleansing the face on non shaving days as well..
Dampen skin with warm water, apply Shavez to your beard, head, or body with a gentle, circular motion. Gently rinse all the sugar off and shave immediately using the natural oils that remain on your skin instead of shaving cream or lotion. We suggest rinsing the razor head with warm water & tapping lightly a few times during shave. Massage in any remaining oils as an after-shave or moisturizer. Can I really use Shavez on my head and body? Yes! The only difference is that Shavez is triple whipped with 25% more Jojoba oil. The rest of your body will love it too. A friend bought this for me for Christmas and after the first time using it I was sold. It does everything it says it does and its the best shave I ever had. Leaves your face so soft. no irritation. Great job Roberta! I am a forever customer. and thank you for replacing my lost order with no hassles. Customer service is incredible. 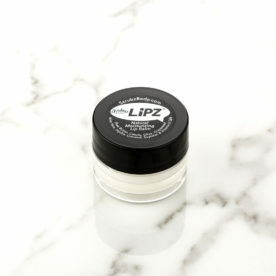 I met the Scrubz Girlz at a trade show and they could’nt stop talking about the Shavez product and how I would love it. Now, I had my own process of shaving cream and post shave balm. 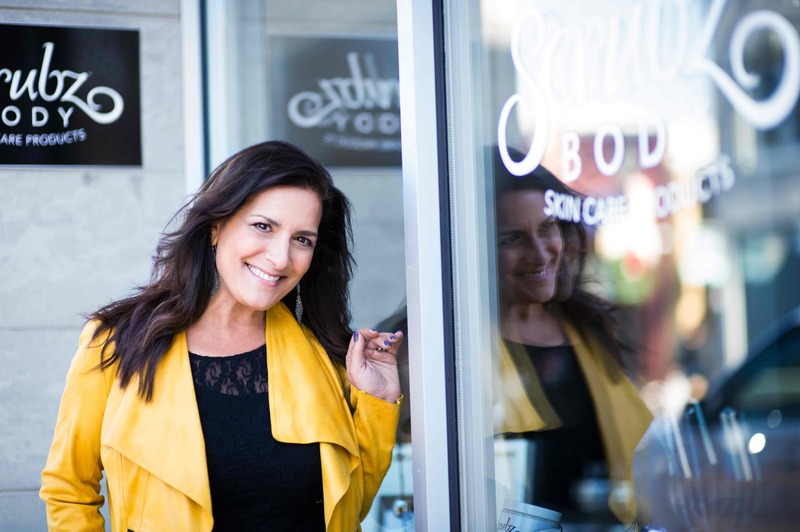 I wasn’t sure I wanted to change my routine, this process worked for me and my skin. The jar sat on my counter till one day I ran out of shaving cream. What better time to give it a try, well I don’t use anything else but Shavez now. The sugar helps stimulate the hair on my face and when I wash off the sugar my skin has natural oils that leave my skin clean but moist enough to shave without any blade grabbing of my skin. When I was done I didn’t need post Balm to prevent skin bumps or rashes because the oils of shaves prevented that. Be a man and Shavez up! Finally my husband is happy! My husband has been using Shavez for about a month. His irritation is gone, as are the little red bumps. Finally, something he doesn’t mind using that’s actually good for him! I was hesitant to try this when my wife brought it home, but I was completely sold after the first shave. Great product. Thanks!